Anyone who has ever looked at the tax code knows about the alphabet soup of acronyms associated with taxes. In addition to the big one—IRS a.k.a. Internal Revenue Service—I’m guessing that there are more than 100 taxcronyms out there. 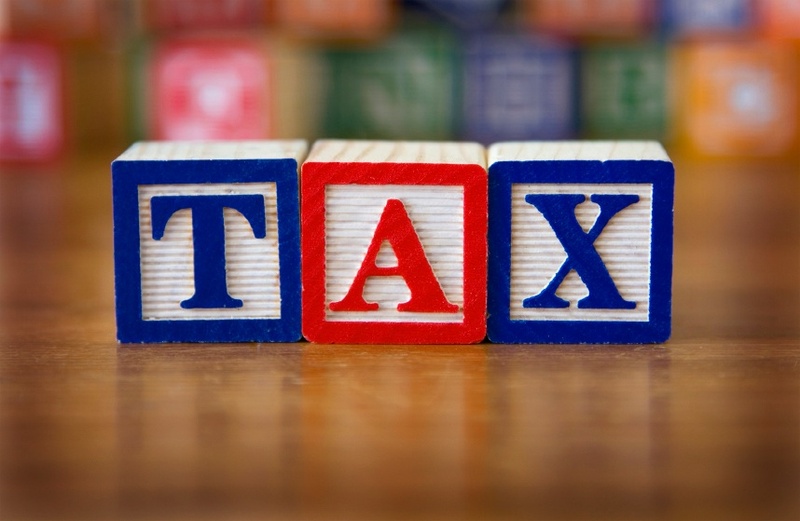 Here’s a guide to decoding some common as well as complex tax acronyms. Your Adjusted Gross Income is key to figuring out your taxes, but computing it can be tricky. Thankfully, TurboTax takes care of the legwork for you. The AGI includes your income, minus certain deductions such as alimony, interest for student loans and contributions to a retirement account. The Alternative Minimum Tax was originally designed to tax the 150 most wealthy Americans back in 1969. But because the AMT was never indexed for inflation, millions of people pay it today. A temporary patch for 2009 returns sets the AMT exemption at $46,700 for single filers and $70,950 for joint filers. Here’s how I describe the AMT: It’s a bizarre parallel tax universe in which you lose most of your valuable tax deductions, including the standard deduction along with state and local taxes. Overall, some 4 million taxpayers are expected to pay $35.5 billion in AMT in 2009, at an average of about $8,400 each, according to the Tax Policy Center. It’s pretty hard to avoid the AMT, if you stuck in this tax trap—I know this firsthand. We’ve been paying the AMT for nearly a decade. If you work in corporate America, your employer has a nine-digit Employer Identification Number. And this number is key to making online tax filing easy. With this number you can import your employment tax information directly into TurboTax. The Earned Income Tax Credit is designed to give the lower-paid workers—I like to refer to them as the worker bees—a chance to lower their taxes or claim a refund. To get the credit, your income cannot exceed $13,440 if you are single and have no children. (The income threshold is $18,440 if you are married and filing with your spouse). If you fit the bill, you are eligible for a $457 credit. Those little (or not-so-little) bundles of joy living in your home make this tax credit even more valuable. Depending on the number of children you have, the credit increases from $3,043 (one child) to $5,657 (three kids or more), But you cannot earn more than $43,279 if you are single and $48,279 if married and filing jointly with three or more qualifying kids. Overall, the EITC was responsible for helping Americans realize $49 billion in tax credits in 2008. A Flexible Spending Arrangement lets you save pretax money for qualified health-care services every year. They are typically a use-or-lose proposition, though, so it is important to set a careful estimate of your health-related expenses. If you end up with a lot of money left in your FSA at the end of the year, consider donating medical supplies to a local school or clinic. As the cost of health insurance continues to climb, more employees are opting for Health Savings Accounts. These high-deductible health plans (HDHP) let employees make contributions to a savings account with pretax dollars. While your employer may or may not contribute to the account, any money you do not use can continue to grow, similar to a retirement savings plan. For the 2009 tax year, HSA holders can deduct up to $5,950 if the account is for family coverage. And if you are 55 or older, you can add another $1,000. An Individual Retirement Arrangement is one of the best—and simplest—ways to save for retirement, especially if you don’t have an employer-sponsored retirement savings plan. Since your savings are tax-deferred, IRAs also help reduce your overall taxable income. If you discover that you have a big tax bill, you may be able to open a traditional IRA for the corresponding tax year to minimize your financial burden. But, like everything related to taxes, there are bells and whistles. If you are under age 50, the maximum amount you can stash in a traditional IRA for 2009 is $5,000. If you are older than 50, the contribution cap rises to $6,000. But you also have to meet certain income restrictions to get the tax benefit of an IRA. For example, if you are married filing jointly, your modified adjusted gross income must be $89,000 or less to get the maximum deduction. IRAs come in several distinct flavors: while traditional IRAs help cut your tax bill now, it makes sense for some folks to use Roth IRAs which require you to pay your taxes upfront. In 2010, the once-restrictive rules for Roth eligibility are shifting in a big way. Here’s a rundown of the changes. A Medical savings account is mainly used by self-employed folks or employees of small businesses along with their spouses and dependents. They are similar in scope to HSAs–you can accumulate savings for medical expenses tax-free. The money you save is portable if you change employers. Married couples have the option to file their taxes together or separately, but most save thousands of dollars by filing jointly (married filing jointly). That’s because filing separately disqualifies you from some of the most significant tax credits and deductions which include the EITC (above) along with valuable childcare and dependent care deductions. While it usually makes sense for married couples to file their taxes together, there are a few exceptions to this rule-of-thumb. You’ll want to use the married filing separate tax status if your spouse is in trouble with the Feds and hasn’t paid taxes in a while. (I actually know a couple who encountered this problem. NOT good.) Married couples should also consider filing separate returns if one of you has a huge tax bill and the other could get a refund. Here’s some more information about marriage and taxes from TurboTax. In addition to traditional IRAs and Roth IRAs, there is also the Savings Incentive Match Plan for Employees. SIMPLE IRA plans are a favorite retirement savings vehicle for small businesses (100 employees or less) because they are actually fairly easy to set up. Employees and employers can make contributions to traditional IRAs, although there are limitations. The financial crisis has left a lot of taxpayers with big bills and little financing options. An Offer in Compromise is an agreement between a taxpayer and the IRS to settle a taxpayer’s tax debt for less than the full amount owed. But the reduced equity taxpayers have in their real estate holdings may complicate the deal. To decode more taxcronyms, check out this handy, dandy IRS tip sheet. Great post! It is very useful to have a simple explanation of tax acronyms on one page.